The future is now. The speculation is over and now we get to see the exciting new trends in home design that are catching on in 2013. The kitchen is the most exciting room in the home and, as we’ve seen in recent years, the trends in design are still leaning towards taking it from a room where you only spend time cooking to crafting it into the heart of activity in the house. The walls are coming down, breaking down the barriers between kitchen and dining room. The preference is to create a bistro or coffee house style atmosphere for the home, where family and friends can congregate in an open and social space. People are interested in being able to entertain guests in an open area and want to keep an entire party social without being isolated in individual rooms; the kitchen is becoming the centerpiece of social activity in the home. People are looking for spacious countertops and walls for HDTVs and kitchens that are Wi-Fi ready. Kitchen colors are trending towards warm, neutral, and natural color palettes. Shiny appliances and bright white paint finishes are being eschewed for a color scheme that is less sterile in feeling and homier in appearance. 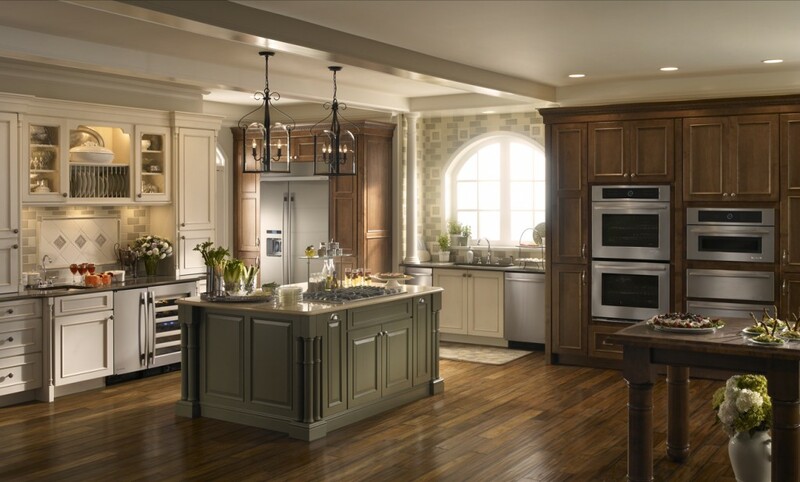 Off-white color schemes are being favored to give home kitchens that warm country feel. Homeowners also look for natural and textural accents to make a kitchen feel in tune with nature. Open shelves displaying clean dinnerware, glasses, and plants are popular accessories in the contemporary kitchen. The environmentally conscious green movement continues to gain in popularity, and for good reason. Being eco-aware is not only good for the planet, it is also good for your budget as well. Reclaimed products such as cutting boards and countertops are often requested as people flex their enviro-brains to save money and the globe. Of course you can’t have a kitchen without appliances. People are making smarter consumer choices and looking for longer lasting and more energy efficient appliances. Induction stovetops are seeing a steady gain in popularity as they are an example of an incredibly energy efficient home appliance, heating quicker and more evenly than gas stoves. 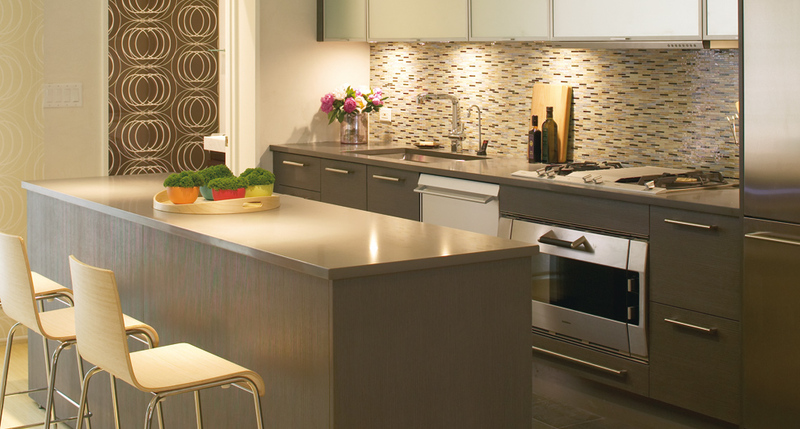 If you are taking on a kitchen redesign project remember that what you do is up to you. You certainly want to try and keep up with the modern trends, especially if you regularly entertain guests in your home. At the end of the day though, it is your home, and the most important thing to remember in any design project is that the end result reflects your tastes and individual personality. Have some fun with your kitchen design and you’ll find yourself loving it when your kitchen becomes the talk of the house – maybe even the talk of your neighborhood! Cassie Corbett is a kitchen design enthusiast and writer with the cookware supplier World Kitchen.